All Minnesota auto insurance policies must include “uninsured motorist” and “underinsured motorist” (UM/UIM) coverage. UM/UIM insurance protects you if you are injured by a driver who doesn’t have any insurance, or whose liability coverages aren’t enough to compensate you for your damages. This is a benefit you claim from the policy of the auto you are riding in and/or your own policy. The minimum required is $25,000 per person/$50,000 per incident. If you are injured in a car accident, your medical bills and other damages, such as lost wages, are first paid by your own Minnesota No Fault, or Personal Injury Protection (PIP) policy coverage, as we explained in an earlier post. If the other driver is at fault and your PIP coverage isn’t sufficient to cover your severe or even life-altering injuries, you will make a claim against the other driver’s insurance. But if that driver doesn’t have any insurance or carries only the minimum, your best or maybe even only claim may be for uninsured or underinsured motorist coverage. Around 13% of drivers fail to carry auto insurance. Many more carry only the Minnesota minimum required liability coverage of $30,000/$60,000. Unfortunately, in our experience, these are the kind of drivers most likely to be involved in auto accidents. When considering the cost of medical care for severe injuries or the possibility of lifelong limitations arising from a car accident, it’s easy to see why everyone should carry as much UM/UIM insurance as possible. 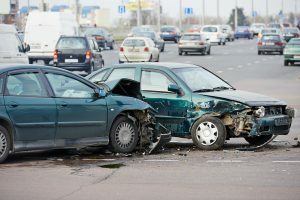 Hit and run injury accidents are uninsured motorist claims. Since no insurance can be associated with an unidentified motorist, your only recourse is a claim against the UM coverage of the vehicle you are riding in and/or your own UM policy. What is an “underinsured” driver? An underinsured driver has liability policy limits too low to compensate for all your damages. For example, if you are badly injured in an accident with a driver who carries only the minimum liability coverage required in Minnesota ($30,000), your medical bills, lost wages, and other expenses can quickly add up to much more than $30,000. If the other driver is clearly at fault, but doesn’t have sufficient liability coverage, you need to turn to the UIM coverage for the automobile you are riding in and/or your own auto policy. UM Coverage: The at-fault driver doesn’t have any liability insurance. UIM Coverage: The at-fault driver has liability insurance, but not enough to fully compensate you for your injuries. It’s important to note that even if you have your own auto insurance policy, you must first seek compensation under the UM/UIM policy of the auto in which you are a passenger. If that is insufficient, then you may turn to your own policy, which will usually pay the difference between the policy of the car in which you are riding and your own UM/UIM coverage. If you don’t own a car, you can be covered by an auto insurance policy owned by a relative with whom you live. For example, a young person living with an aunt or uncle who has auto insurance is entitled to coverage as a passenger in both the aunt or uncle’s car or in someone else’s car. Just as with PIP coverage, you don’t need to be in a car to make a UM/UIM claim. If you’re a pedestrian or bicyclist hit by a car, you may be able to make a UM/UIM claim. Dealing with a UM/UIM claim is a highly complex matter. It’s best handled by an experienced personal injury attorney. Our firm has recovered more than $125 million for our clients and we are ready to assist you.